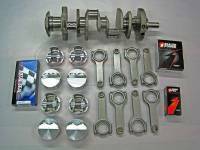 Butler Performance 427-435 ci Balanced Rotating Assembly Stroker Kit, for 421 Block, 4.000" str. Butler Performance 450-457 ci Balanced Rotating Assembly Stroker Kit, for 421 Block, 4.210" str. Butler Performance 481-489 ci Balanced Rotating Assembly Stroker Kit, for 421 Block, 4.500" str. Butler/Ross 453-461 ci Balanced Rotating Assembly Stroker Kit, for 421 Block, 4.250" str.